Investments in artificial intelligence (AI) and machine learning are burgeoning throughout the aerospace and defence sector and could be the next big wave in regard to the industry’s digitization. According to a report by consulting group Accenture, aerospace and defence executives in the U.S. expect to invest “extensively” in AI-related technologies such as robotics process automation, natural language processing, machine learning and video analytics. On June 2 2017, for example, Boeing said it was joining a group of strategic investors led by Verizon Ventures in an initial $32 million funding called SparkCognition. The Austin, Tx.-based company focuses on AI and machine learning for information technology security and industrial. Raytheon, BBN Technologies said it was awarded $4 million to provide automatic speech recognition, machine translation, text-to-speech and optical character recognition software licenses for one year to the U.S. Army’s Machine Foreign Language Translation System. And last October, Thales SA said it was opening an artificial intelligence centre in Montreal and will hire 50 people for the new facility. Its aerospace division designs and integrates avionics suites, flight controls, head-up displays, enhanced vision systems for regional and business aircraft customers globally. The new hub, called the Centre of Research and Technology in Artificial Intelligence eXpertise (cortAIx), will focus on creating solutions for airlines, satellite operators, air traffic controllers, rail operators, armed forces and critical infrastructure managers. In AI, Patrice Caine, chairman and CEO, maintains Thales has honed world-class skills, thanks to its defence background. But he also notes that they do not have enough AI experts. Currently only about 100 are on staff (out of a total global workforce of 46,000), to deal with all potential applications. He is focusing his efforts on growing that number. AI could be used in aviation to optimize a flight path in real time, according to Caine. “Currently, nobody has an overall, dynamic view of an aircraft’s flight path. When a weather event occurs in flight, the pilot is on his own to optimize the trajectory,” he said. In development at Thales’s Bordeaux campus, is an AI solution that culls and maximizes data from air traffic management, weather offices (from observation and forecast) and airports. The biggest challenge faced by AI experts today is to perfect the understanding of the mechanisms behind AI developments, while simultaneously evaluating human behaviours as people interact with these new systems. The key mission of Thales’ cortAIx is to build “AI inside” solutions that are safe and ethical while granting full authority to the human decision makers. “With Thales’ leadership and the support of our partners, we will leverage Montreal’s unique ecosystem of world class talent and creativity to advance the applications of ethical artificial intelligence world-wide,” Caine said. Building on Thales’ recent acquisition of Guavus last year and Vormetric in 2016, the creation of cortAIx is yet another example of how Thales is strengthening its positioning in one of the key technologies at the heart of global digital transformation, Caine noted. 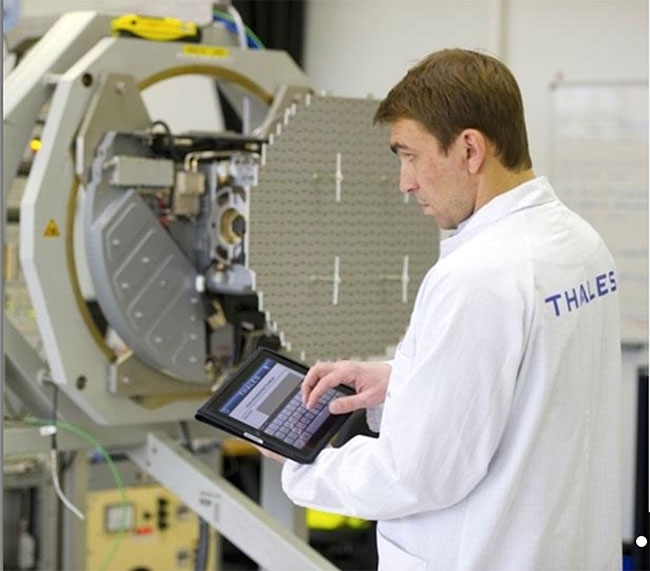 In the past three years, Thales has invested more than $1.5 billion in digital technologies and recently announced the launch of its high-tech Digital Factory in Paris. This activity brings together leading technology experts who support the injection of big data and artificial intelligence into Thales solutions, while also ensuring data security, a fundamental requirement of the modern digital economy. Canada is becoming a destination for foreign companies working in AI. San Francisco-based Uber Technologies Inc. set up shop in Toronto last year to help improve its autonomous vehicle software, while Alphabet Inc.’s Google also has an AI presence in Toronto and Montreal. Paris-based Thales said it was attracted to Montreal because of its rich ecosystem of AI-focused universities and laboratories. Facebook Inc. and Samsung Electronics Co. Ltd. have also opened AI research labs in the city. The new centre will be working with Google-backed Vector Institute of Toronto, the Artificial Intelligence Institute of Quebec and the Institute of Data Valorization. Thales Canada has 1,800 employees in six locations working in defence, avionics and transportation and generates $500 million in annual sales.